Boutique of Quality Books, 9781945448263, 440pp. Following the revelation that the antagonists were after the location of all of Book's genies, Crisanta and her friends knew their Wonderland road trip was far from over. With the magic fluctuation event known as the Vicennalia Aurora days away, antagonists and magic hunters hot on their tail, and Crisanta’s treacherous brother Alex competing against her to claim Excalibur, matters were becoming larger-than-life very quickly. Meanwhile, Crisanta’s Pure Magic powers of life were growing incomparably strong, and she was being tempted by the corruption that came with them. But with everything from evil kings to bloodlusting Bluebeards to the Questor Beast, she needed her magic more than ever. 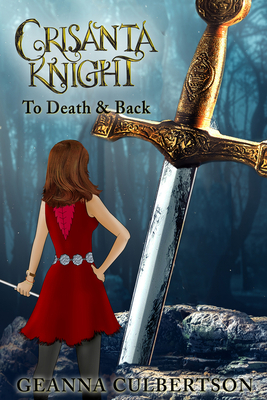 Geanna Culbertson is the author of the Crisanta Knight series, a young adult fantasy series that will culminate with the release of book eight in April of 2021. She is passionate about writing books that will speak to young girls and their potential. She is a sponsor and strong proponent of Girls on the Run in Los Angeles, where she lives.